Before Heaven's Burial's popularity could reach its peak, White River City's players had turned away from the Guild, leaving it in the cold. Zero Wing was the only thing on everyone's minds. "As expected of the number one Guild of our city. Zero Wing has actually claimed the First Clear of the h.e.l.l Mode Frost Prison so quickly." "That's right. I heard that, even until now, there has yet to be a single Guild that has successfully raided a 100-man h.e.l.l Mode Team Dungeon in the entire game. Even those Super Guilds don't have the courage to challenge them. Yet, Zero Wing dared to, and they succeeded. The strength of Zero Wing's main force definitely ranks at the peak of G.o.d's Domain. It really makes you wonder just how the Guild has managed to find so many experts." "Find? You have the wrong idea. My friend is a member of Zero Wing's main force, and I am very familiar with his strength. When we started playing G.o.d's Domain, he was even slightly weaker than I was. However, ever since he joined Zero Wing, his strength has improved at a rate beyond the imagination. At this point, he has even reached the Trial Tower's fifth floor, becoming one of the few experts in White River City." "What's not possible? I've been regretting my decision to join my current Guild ever since. Although we are both core members of our respective Guilds, I'm just a noob compared to my friend." As the sun began to drop below the horizon, the number of players who wandered into the Blue Moon Bar increased. When speaking about Zero Wing, many could not help but sigh with regret. Initially, Zero Wing had merely been a small and insignificant Guild. Now, however, not only had it become White River City's unquestioned overlord, but it had also become the focal point of G.o.d's Domain. Many Guild players wallowed in their regret. Had they had only chosen to join Zero Wing, they would have enjoyed extraordinary status and fame by now. Many Guilds' elites even swore a silent oath to leave their current Guilds and join Zero Wing, even if they had to compensate their Guilds for the loss. It was much better than remaining a n.o.body for the rest of their lives. Meanwhile, in Star-Moon City, the news of Zero Wing's First Clear of a 100-man h.e.l.l Mode Team Dungeon caused a ma.s.sive sensation to sweep through the city. This sudden development had changed many players', who had intended to join Heaven's Burial, minds, opting to join Zero Wing instead. "Just how did Zero Wing manage it?! We're talking about h.e.l.l Mode!" Flame Blood utterly refused to believe the news. Although their Guild had never dived into a 100-man h.e.l.l Mode Dungeon before, they had obtained a lot of information from Super Guilds. Not only were the Dungeon's monsters stronger in terms of Attributes, but the Final Boss was also capable of mental suppression. When fighting the Final Boss, players could not display their usual strength. Even a team of fifth-floor experts would lose as much as two-thirds of their strength. Hence, the various Super Guilds had given up on raiding h.e.l.l Mode, focusing on raiding other 100-man Dungeons to earn Guild Reputation instead. Moreover, Zero Wing's achievement instantly shattered the momentum that Heaven's Burial had gained after many difficulties. "Sure enough, Black Flame is not as simple as he looks. He has hidden his strength so deeply," Daybreak Fog muttered as she absorbed the information with great interest. The files she read were all about Black Flame. "Although Heaven's Burial's information network is not as extensive those Super Guilds, it is still significantly more thorough than other first-rate Guilds. However, we have close to no information regarding Black Flame's background. It is as if he just appeared out of thin air one day. "However, we don't have to pay too much attention to this matter right now. We've already recruited quite a number of elite players. Now, we need to improve everyone's levels and equipment quickly and prepare to complete the task Guild Leader has a.s.signed to us. When Guild Leader completes his quest, Heaven's Burial will become Star-Moon City's overlord. At that time, Zero Wing will no longer be an obstacle." No ordinary NPC City could compete with Star-Moon City. In games, players competed with each other via resources. Meanwhile, the resources available in G.o.d's Domain's various regions were limited. As the capital city of a kingdom, Star-Moon City naturally offered more resources than any other city in the kingdom. The City also offered a more convenient transportation system. Visiting players from other kingdoms and empires who wished to explore Star-Moon Kingdom could only teleport to one city-Star-Moon City. Only after teleporting to Star-Moon City could they teleport to the other cities in Star-Moon Kingdom. This alone was enough to allow Star-Moon City to stand above its compet.i.tors in the kingdom. Not to mention, Star-Moon City had far more high-level maps and Dungeons within its region. Aside from Star-Moon Kingdom, the various large Guilds across G.o.d's Domain began to turn their attention to Zero Wing, particularly first-rate Guilds and Super Guilds. "Zero Wing? Isn't that the upstart Guild that the Dragon-Phoenix Pavilion failed to annihilate?" "If it can claim the First Clear of a 100-man h.e.l.l Mode Dungeon, some major corporation must be funding it in secret. It seems we'll have to investigate." Despite being a veteran first-rate Guild, Twilight Echo was in a turmoil. Initially, they had not particularly cared about Zero Wing. After all, it was simply a farce Aqua Rose had concocted. Now, however, the situation had changed. The Zero Wing that Aqua Rose currently occupied had claimed the First Clear of a 100-man h.e.l.l Mode Team Dungeon. Even Super Guilds lacked this achievement. This went to show that Zero Wing's strength was extraordinary. At the very least, the standard of the Guild's main force must rank at the very peak of G.o.d's Domain. However, n.o.body among Twilight Echo' upper echelon believed that Black Flame was the one responsible for such a powerful team. After all, before G.o.d's Domain, n.o.body in the virtual gaming world had ever heard of him. The only possibility was that Aqua Rose was responsible for the team's creation. "I told you that Aqua Rose possessed immense potential, yet you were adamant about chasing her out of Twilight Echo. If Aqua Rose were still with us, given the Guild's background, we would have become the next super-first-rate Guild by now. Tell me, then. What should we do now?" a middle-aged man with a righteous air huffed angrily. "Elder True Martial, there is no need to get so agitated. We were left with no other choice. After all, her parents made the decision. It wouldn't be right to meddle with their family affairs," a lady nearing her forties a.s.suaged. "However, now that everyone has seen what that child is capable of, I believe that everyone present understands what this means. This farce has gone on for long enough. It's time that we bring that child back to us." At the Twilight Echo's Elder meeting, Brilliant WarG.o.d was livid. He had never expected Aqua Rose to be so capable. She had actually managed to develop a small Guild into a large Guild that even Twilight Echo could not ignore. Listening to the Elders' intentions, he realized that he could never coerce Aqua Rose in the future. "Guild Leader Glorious, what is your will?" Elder True Martial asked coldly as he turned to Glorious Echo, who sat comfortably on the Guild Leader's throne. Back then, Glorious Echo had strongly advocated stripping Aqua Rose of her position as an Honorary Elder. Now, however, Aqua Rose's strength was clear for all to see. Twilight Echo was not a one-man Guild. If Glorious Echo continued to hinder Aqua Rose's return to the Guild, he would make an enemy of every Elder in the Guild. Glorious Echo, who had held his silence through the meeting, smiled and responded indifferently, "Since everyone has decided, I will not object. 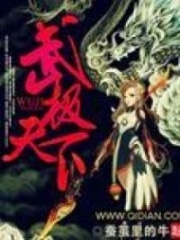 However…"
You're Read Reincarnation Of The Strongest Sword God Chapter 676 online at NovelOnlineFull.com. You can use the follow function to bookmark your favorite novel ( Only for registered users ). If you find any errors ( can't read,broken links, can't load photos, etc.. ), Please let us know so we can fix it as soon as possible. And when you start a conversation or debate about a certain topic with other people, please do not offend them just because you don't like their opinions. You're reading Reincarnation Of The Strongest Sword God. This manga has been translated by Updating. Author(s): Lucky Cat. Already has 2134 views. Current Time is 19-Apr-2019 00:31:13 AM.